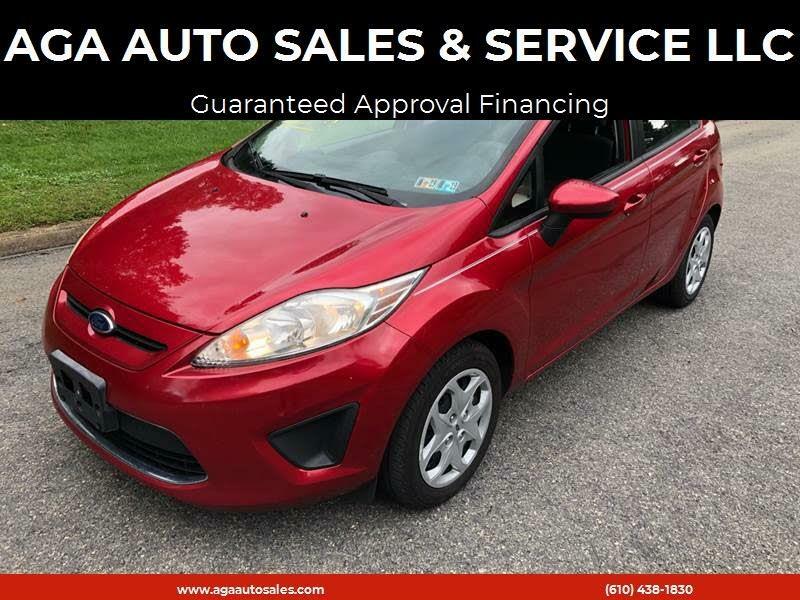 Used 2011 Ford Fiesta SE Hatchback for Sale in Easton PA 18042 AGA Auto Sales & Service LLC. Very nice and clean Fiesta Automatic windows and mirrors,? automatic sunroof,? Bluetooth,? AUX,? USB Input WELCOME TO AGA AUTO SALES AND SERVICE WHERE EVERYONE IS APPROVED. WE SELL FOR LESS.WE FINANCE GOOD,? BAD,? OR NO CREDIT. ASK ABOUT OUR GUARANTEED CREDIT APPROVAL. Family owned & operated. Most of our vehicles include a 3 months warranty & have been serviced & inspected.